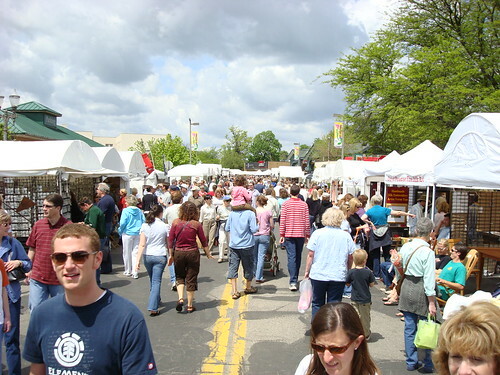 It isn’t too early to think about the 48th Annual East Lansing Art Festival, which takes place May 21 and 22, 2011. Our Lansing MI Bed and Breakfast tends to fill up during this event. In past years, the festival has brought well over 50,000 art lovers to the area. Just think about it… this is an outdoor event, so by then there won’t be any snow on the ground. Imagine how warm it will be when we meander through the stalls of more than 200 artists. There will also be live music on two stages during the festival, and an international-style food court with lots of tasty dishes. Michigan State University holds their Spring Arts and Crafts Show that same weekend, May 21 and 22. If you have a student at MSU, this is a great excuse to drop by for a visit. We’ll share more details about the East Lansing Art Festival and the MSU Spring Arts and Crafts Show as the event approaches. We hope to see you then at our Bed and Breakfast Lansing MI.